Need A Professional Drone Photography Quadcopter? Drones have brought great versatility in the field of photography, with professionals using them to explore the art of aerial photography. The results are absolutely awesome, with aesthetic aerial shots perfectly capturing the beautiful moments we live for! 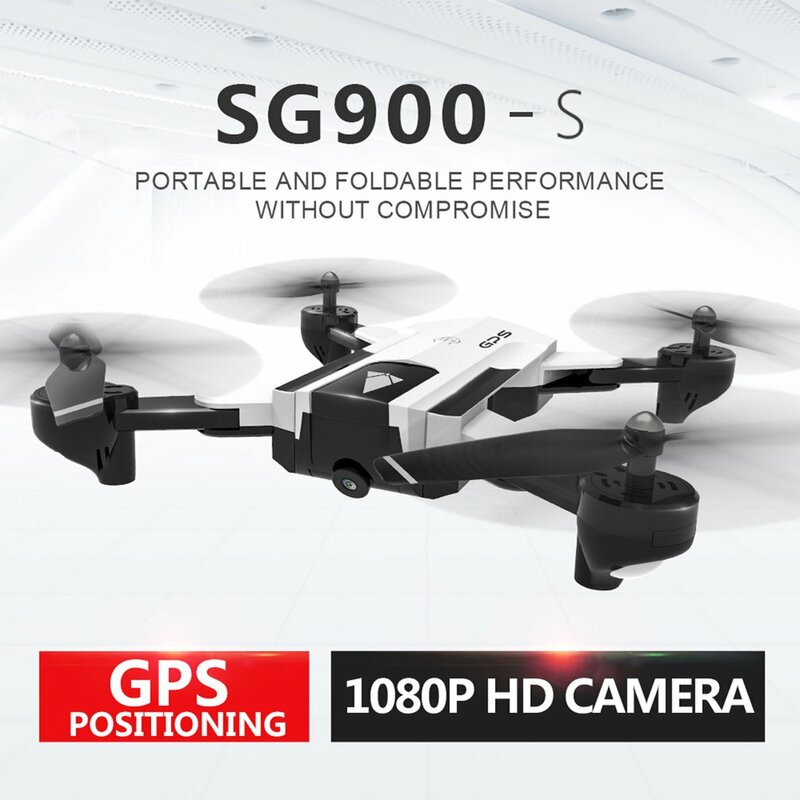 If you are looking for a professional Drone With HD Camera, then the SG900-S is what you need! This RC Drone boasts a wide range of features that no other drone in the market has to offer. With a 1080p HD camera that is ideal for photographs, videos, and real-time Drone Video transmission to your Smartphone; and with 10 minutes of flight time, it is the best piece of professional photography equipment you can buy! Its remote controller uses your phone's WiFi to connect to it, letting you operate it anywhere without hassle. SG900-S is integrated with an accurate GPS positioning system that allows it to mark its take-off position. If it ever gets out of range, runs out of battery during flight, or you give it a return signal, it immediately returns to this point. Moreover, using its GPS and your cell phone touchscreen, you can set its flight path by marking points on its GPS map. This awesome Mini Drone is incorporated with an intelligent module which detects where you are and follows you wherever you go, letting you capture special moments without having to control it. If you want it to circle a point and get a whole 360-degree view, this Mini Drone With Camera can do it easily: just mark that point on its GPS! This quadcopter is also very easy to carry around since it has foldable wings. Simply fold them in, put the drone in your bag, and take it anywhere. FAST SHIPPING IN THE USA Please allow 4-10 days for delivery.